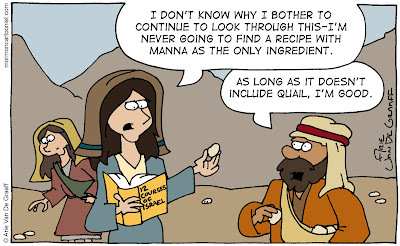 After 40 years, I'm sure manna got pretty old. Of course, it was still preferable to quail. I was working on a tight deadline with this one, otherwise I'd like to think I would have come up with a better title for the cookbook. Maybe you can have a crack at it. "Manna Man: Get a toasty body in 5 steps!" "The M&M Diet: 'M' Stands for Manna"
"Mr. and Mrs. Manna's cup runneth o'er: How to get maximum manna in the morning"
These are great titles. Well done! What always puzzles me is, that as the Israelis had vast herds and flocks with them, why did they get so hungry they had to ask God for manna and quail to eat? Perhaps pride mixed with stubbornness. It may be that the Lord sent them the same food over and over again because they already had a variety that they were not using. Of course, it’s not just that simple (there are definitely others factors), but this seems to me to be the primary reason. 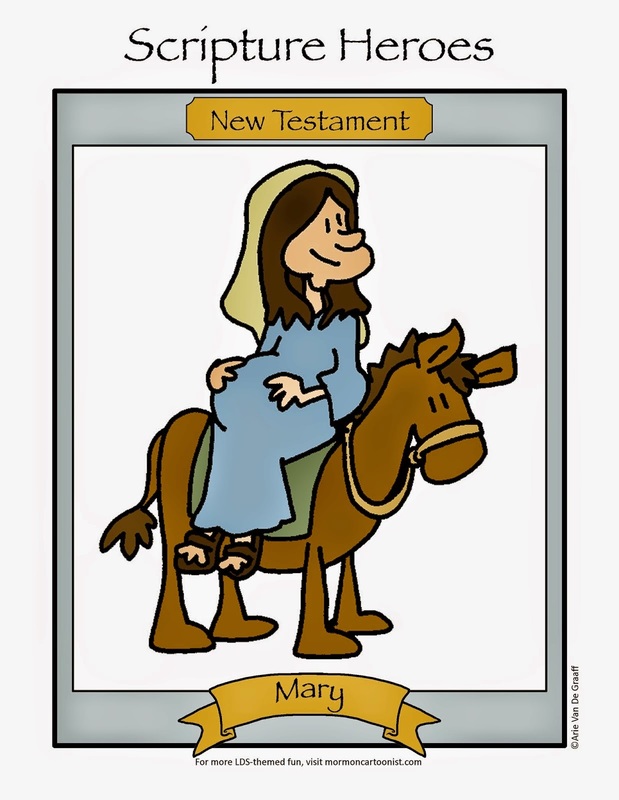 We discussed this point in Sunday School this morning. Suggestions included that as they were marching around the Sinai penninsula it became apparent that such a large mob would eat their way through their flocks faster than the poor animals could be replenished! Anyway, they needed water for them, as well as for themselves. Thinking about it that way, this does at least teach me that I tend to give people in the scriptures that behave poorly too much judgment. Laman and Lemuel, I recall, did repent, of but briefly. Everyone is and was capable of it.